Water Is Free. Why Do We Have To Pay For It? All of the water that we treat at the Curran-Gardner Water District comes from underground via wells. It is there for the taking, but the taking is what costs us. Before we take a look at all of these costs, the end result is that we consistently meet all federal and state regulations, we do not exceed any contaminant levels, and our customers have a safe quality product 24/7 by just a turn of a faucet handle. Let’s start with our wells. It can cost us hundreds of thousands of dollars to install just one well. 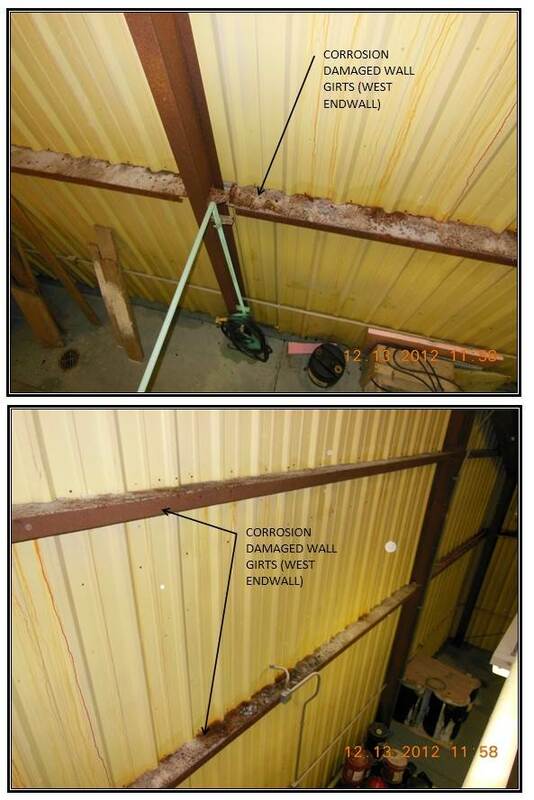 Land, easements, engineering, archeological & endangered species studies, well installation, disinfection, sampling, and, of course, the piping, well pump and motor, and electrical controls all figure into this cost. The costs for the operation of our wells doesn’t stop there. Electricity to pump the water to the treatment plant, routine maintenance, and monthly Illinois Environmental Protection Agency sampling fees are on-going costs. For example, we recently had to replace one well motor and this alone cost $5,500.00. Once the water is pumped into our plant it, is treated with a variety of chemicals. We utilize chlorine gas for disinfection purposes, lime to soften our water, and fluoride to help prevent dental caries. 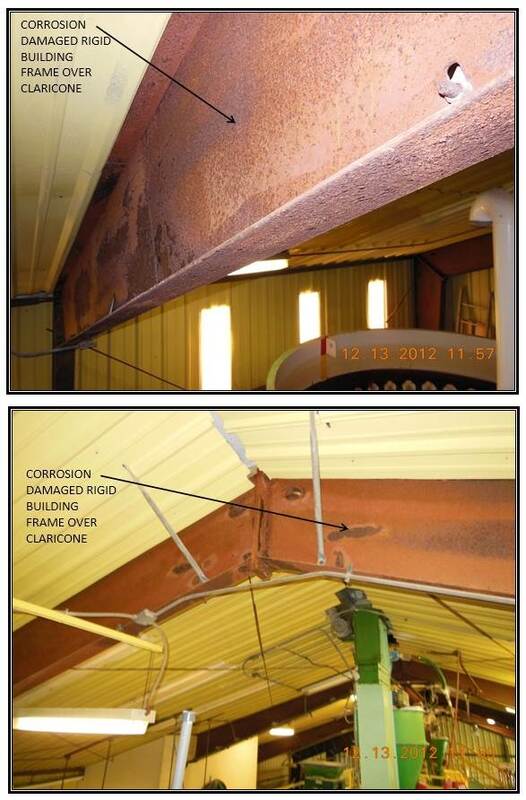 Due to the large amount of water that we treat for our customers, we spend a lot of money on these chemicals. 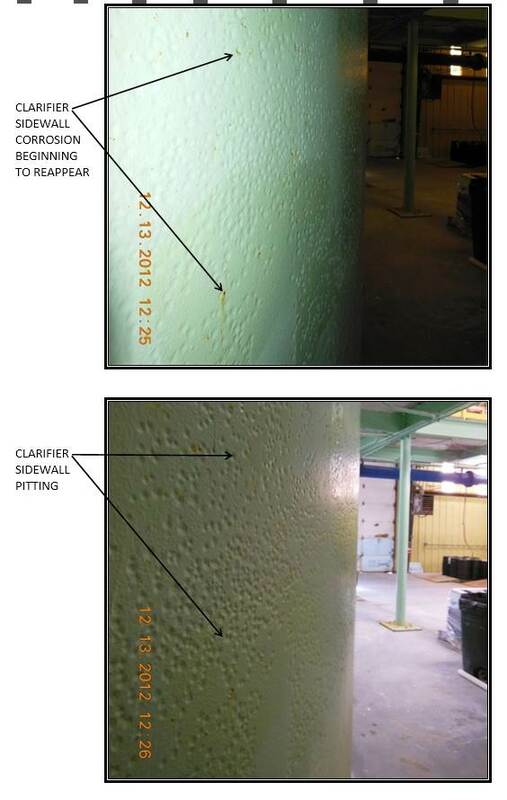 For example, we may utilize 20 tons or more of lime per month for the softening process. We also run the water through sand media filters to remove any suspended material and to improve water clarity. After we use the lime to soften our finished water, we have to deal with the disposal of the sludge left behind. 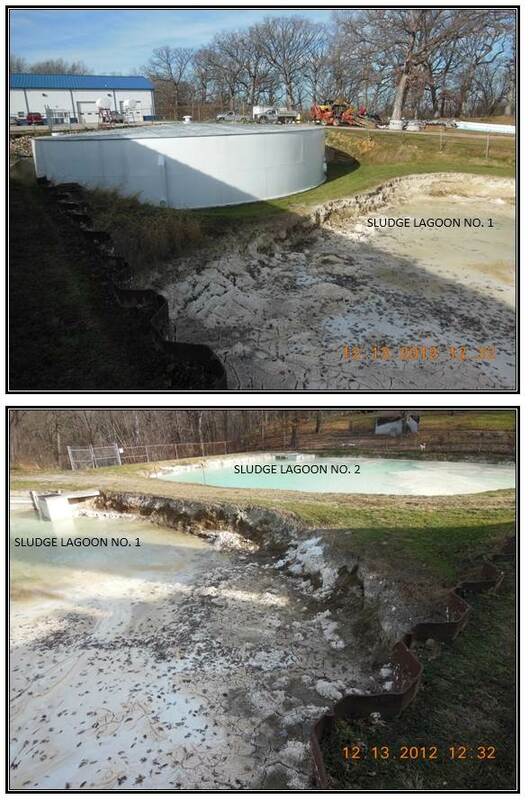 Our district spent $79,000.00 in September of this year to have this sludge hauled from our plant lagoons. Again, we have a lot of the same expenses in the plant as on the wells such as electricity and we also have laboratory analysis costs to ensure that your water is safe. The United States Environmental Protection Agency Safe Drinking Water Act requires us to test for over 75 different potential contaminants in addition to the daily tests that we perform every morning. Next, let’s discuss our distribution system. We have miles of water mains to get water to your front door. While water main material and installation costs are expensive, we can’t forget that we also have to include hydrants for fire protection and the flushing of our mains, shut-off valves, valve boxes, meters,and meter pits and lids. While a lot of our system is out of sight, so out of mind, our elevated water storage tanks are definitely seen by you our customers. 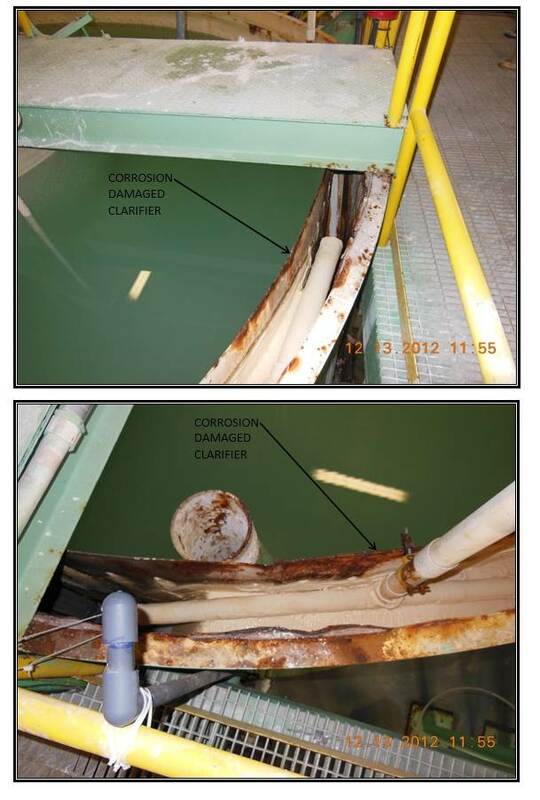 The initial cost of these tanks run hundreds of thousands of dollars to install and just a single sandblasting/repainting job can run well over $100,000. The costs of required training for our certified operators: Our Illinois Environmental Protection Agency-certified Class A operators are required to obtain 30 hours of approved training every three years. The cost to our system of performing J.U.L.I.E. locating: J.U.L.I.E. charges member utilities such as ours over $2.00 for each faxed location request. This doesn’t include the labor or travel costs to the location site to mark our utilities. The cost of the administrative building’s maintenance, utilities and office staff. The cost of reading our meters, printing the bills, and the postage to forward them to our customers. The on-going cost of meeting new and ever-changing federal and state regulations and mandates. As you can see from this information, it’s a long, costly road from the wellhead to your tap. And, unfortunately, nothing lasts forever. Our current plant was constructed in 1969 with only a few upgrades since. Due to the deterioration of the plant, because of age and usage and the need for future pumping capacity, we are pursuing a major plant upgrade. Based on the design plan developed by our engineering firm, it is estimated that the cost of this upgrade will be $4,040,000.00. You can review this plan in its entirety at www.currangardner.com. This cost is significant and your water district board has not taken this fact lightly. However, many of the plant’s components are nearing or have surpassed their lifespans with many of the original parts no longer available. The need for an increase in water rates to fund this project is unavoidable. We plan to hold an informational meeting in the very near future to show what funding options we have available to us as well as to address your questions and concerns. You, our customers, will be notified of the date, time, and location of this meeting. 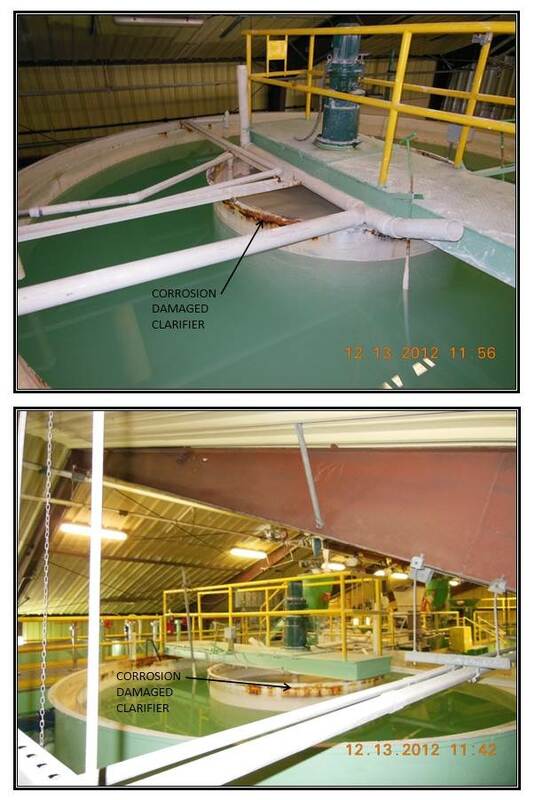 Photos of several of the deficiencies at the existing Water Treatment Plant can be seen below.